Britain was a nation consisting of over 30 tribes, each bring ruled by a King or Queen and having a rigid structure coming downwards through the ruling tribal family via the leaders of each settlement down to individual members. Every member in a tribe had a specific purpose and there was no room for passengers or those who did not pull their weight. Indeed many tribes had initiation ceremonies where a boy cold only become a man after proving himself by performing a set series of tasks. Any who did not meet the set criteria were set to work on farms or left to fend for themselves. It was not possible to advance upwards in the tribal hierarchy. To be a landowner or have any authority within a tribe the member had to be directly related to the ruling family. The Romans introduced their own style of social order where the person's background did not matter. It was not the individual's past that mattered, it was the status they had achieved now that counted. This was in direct contrast to the tribal order where everyone knew their place and what was expected of them and advancement was not possible. In short, to be someone in authority in a tribe, the person had to be born into the correct family. With the coming of the Romans, an individual could (and often did) rise from the lowest ranks in society to a position of great authority. 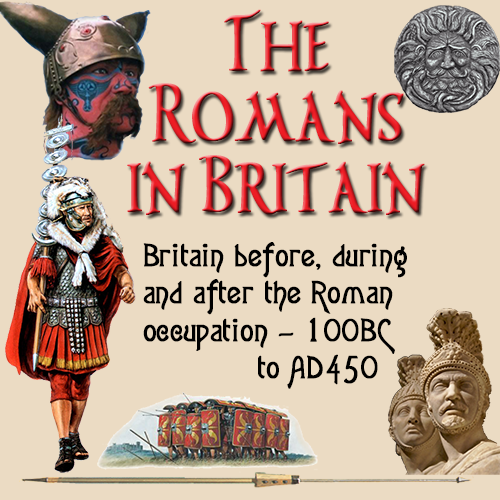 Many tribal members joined the Roman army and rose through the ranks to achieve greatness via the military route.